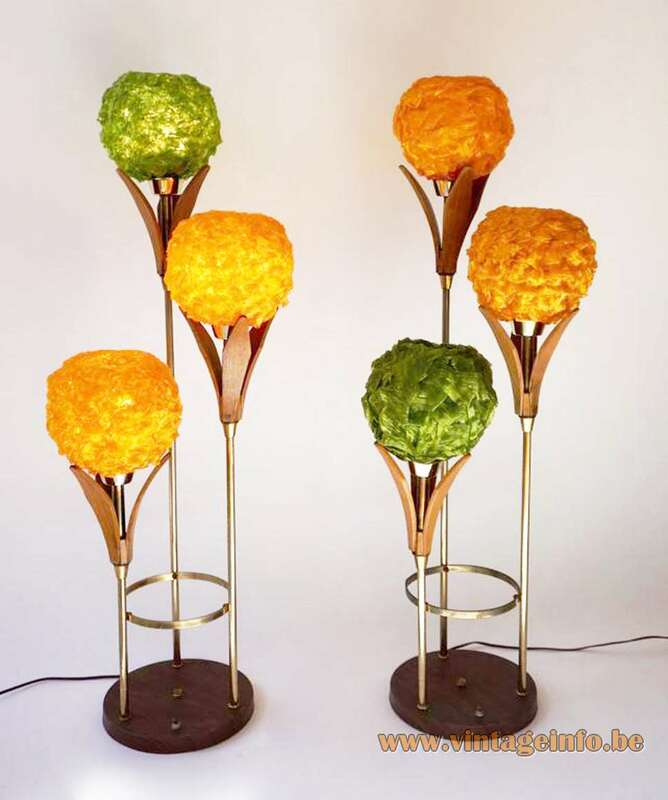 Materials: Orange and green lucite spaghetti plastic, probably acrylic or some early plastic “dahlia” flowers. Walnut wood and chromed metal. Metal sockets. Electricity: 3 bulbs E27, 3 x 60 watt maximum, 110/220 volt. Manufacturer: Lampcraft Industries, Chicago, Illinois, USA – attributed. Other versions: Made in many variations. Some lamps have also the label “Genuine American Walnut”. 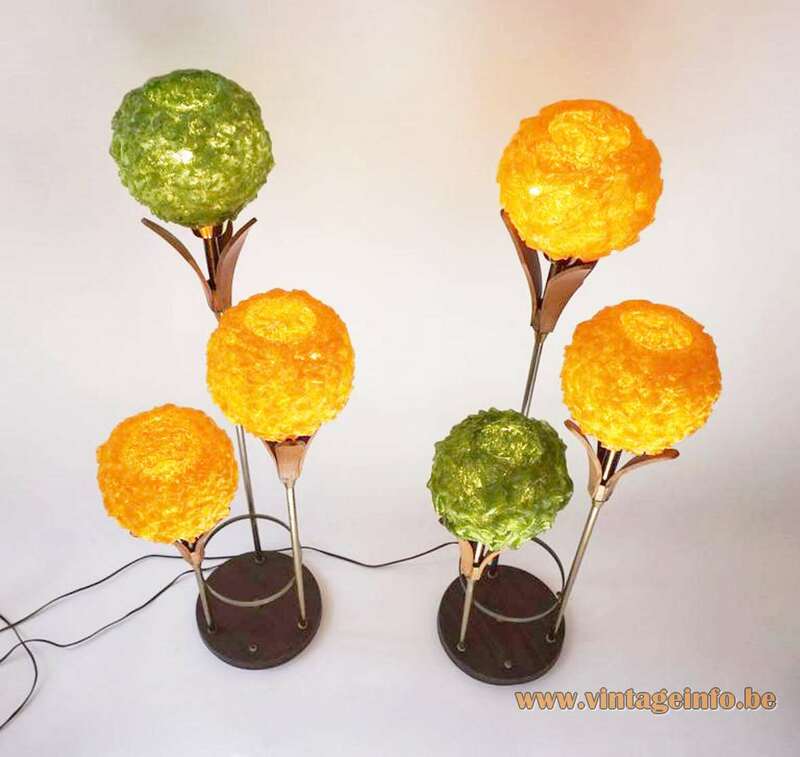 These type of lamps are often described as Danish lamps, but they are not. They are made in a typical American style, rarely seen in Europe. Sometimes you find them as lamps produced by the MCM company. MCM is the abbreviation for the name Mid-Century Modern, used in the USA. 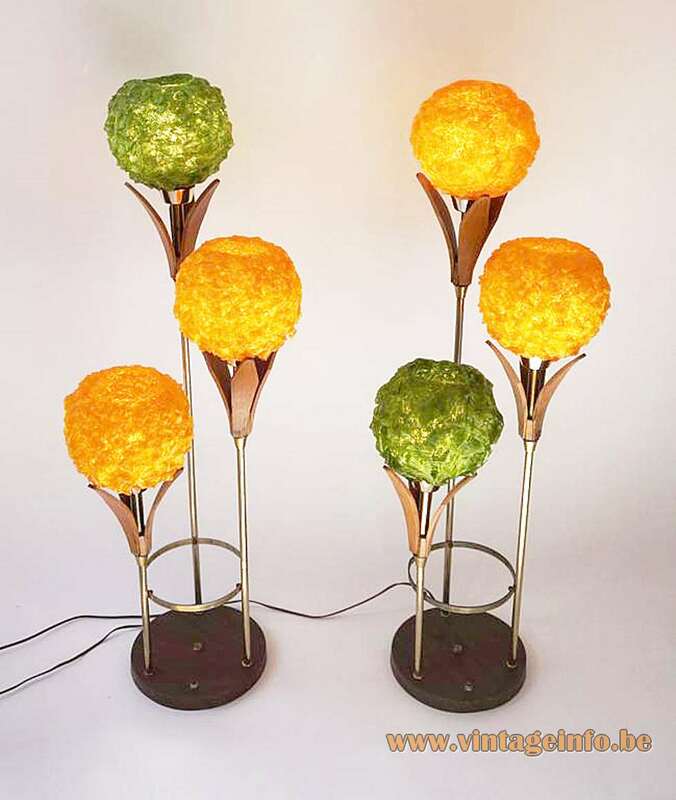 Whoever sold these lamps in Europe is not known, at this time. Lampcraft Industries was founded in 1940 in Chicago by Philip “Pinky” Harris. They mainly produced lamps in modern, traditional and Early American. Wood, plastics and glass were used extensively in all their models. Many of their lamps have girls names such as Kimberly, Pundy, Waverley, Stacey. In 1968 Philip Harris moved the Lampcraft Industries company to Los Angeles, California. Philip Harris sold his Lampcraft Industries company in 1972. It’s last address was BOX 91576 Chicago Park CA 95712-0000. 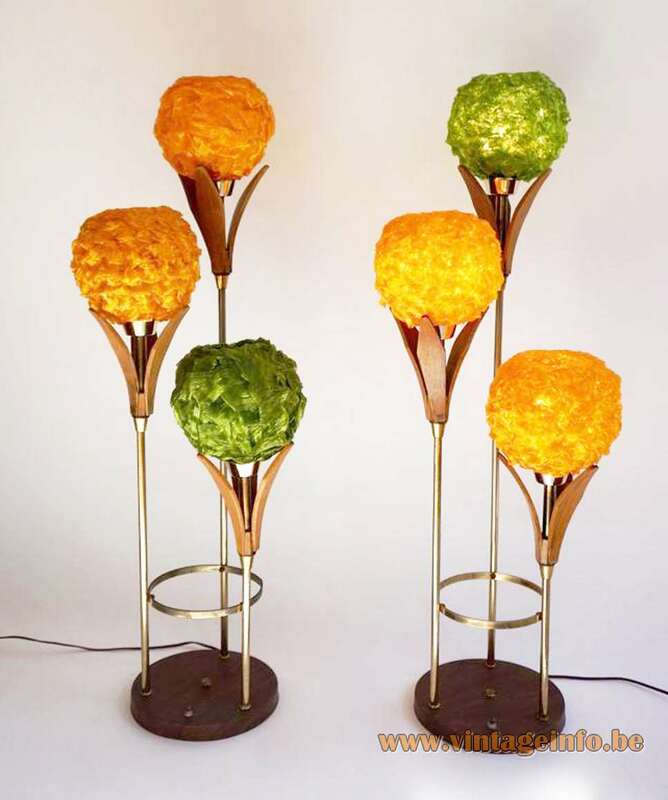 Similar lamps were amongst others produced by Deena Products, also from Chicago. The company was in business in the 1940’s and 1950’s. They had production plants in Kentucky. Other companies that sold lamps with spaghetti/spun sugar/cotton candy style lampshades in the USA were Majestic and Heifetz. Heifetz sold Rotaflex lamps. Lampcraft Industries label, glued on another lamp.